Crystal clear, crisp printouts are what the HP 7150 w is renowned for. At some stage your HP 7150w will gobble up all of your printer ink, and when that does happen you'll realise that buying HP 7150w ink can be pricey. But you have no need to waste your time worrying about coughing up the high asking prices you'll uncover on the main street because here at Cartridge Save you can purchase all the HP 7150 w cartridges you'll need at very small prices. Save more money on your ink by purchasing online with Cartridge Save! Don't pay high prices for a 7150-w original cartridge or 7150w compatible ink in the main street when it is far easier to save a bunch of money buying with Cartridge Save. Have full confidence by purchasing PhotoSmart 7150w ink cartridges from us as each one is underwritten by a no quibbles money back guarantee. Keep in mind that every order also comes with free delivery, mostly delivered to your doorstep on the next working day! The simple and sleek HP Photosmart 7150w is ideal for homes with tight budgets. Though it is cheap, it does not compromise the quality of prints. It features memory card readers and a USB port for direct printing. Setting up is a breeze and initial cost is low, but the USB cable is not included in the bundle, and text output is mediocre. 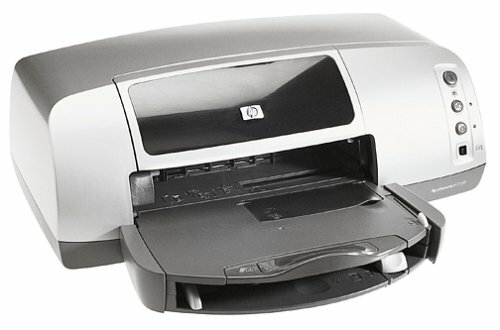 The HP Photosmart 7150w is very simple and easy to use. It has a monthly duty cycle of 5000 pages, and the paper tray boasts a relatively high input capacity. This easy-to-use and intuitive printer also features hidden memory card slots and a USB port. There is no need to transfer files to the computer first before printing, as this device allows direct camera printing and comprehensive memory card reader features. The HP Photosmart 7150w is likewise very affordable, considering the excellent quality of its photo prints. When compared to other low-budget photo printers, the HP Photosmart 7150w may seem sluggish. The quality of photo prints is very good, but the same cannot be said for text documents. The HP Photosmart 7150w only supports USB connectivity, and worse, the cable is not included in the package and must be bought separately.